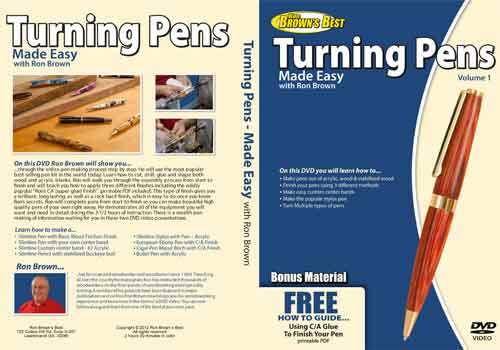 Now available from the Cool Hammers Company is this pen turning DVD by Ron Brown which shows you how to work with wood, acrylic and stabilised burl wood. It also teaches you three different finishing methods: walnut oil based friction finish with; CA finish and the simple acrylic pen blank finishing method. There is also a bonus section which includes a step-by-step CA finishing methods printable PDF. At 2 hours and 35 minutes, this DVD represents great value for money.